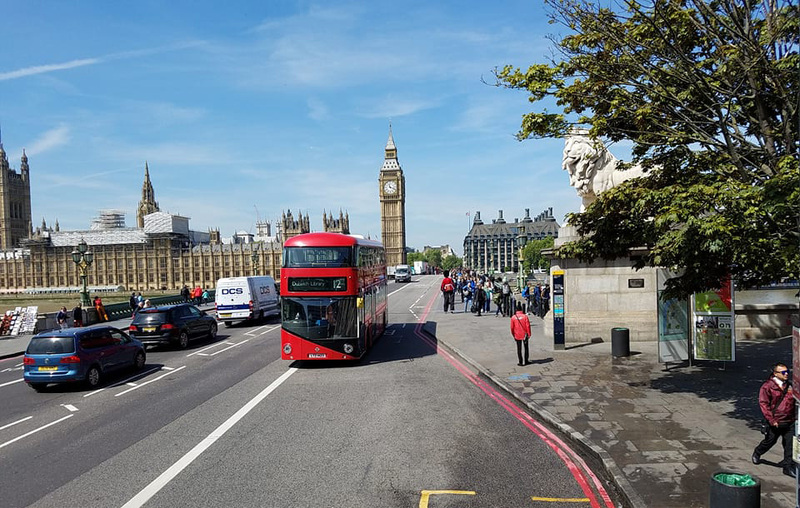 After seeing London on TV and in movies, it quickly became a bucket list destination. It’s an incredibly diverse city that has something for everyone. With every place you travel, there are certain things that you should avoid. Below is our list of don’ts for London to ensure a fantastic trip. London is really crowded and the traffic is insane. They also drive on the opposite side of the road, which as an American, gets confusing. For those reasons, we don’t recommend driving on renting a car here. Honestly, the best way to get around the city is to walk, but if your destination is too far of a walk, take the public transit. Although they look cool, taxis are incredibly expensive in London. In most cases, you can find a much cheaper way to get around. The tube and buses in London are fantastic, much cheaper and will basically take you anywhere you need to go. Invest in an Oyster Card to save money on fares. Uber is also available in London, which in most cases, will be cheaper than taking a taxi. There is no doubt that London is an expensive city, which is why it would be silly not to take advantage of their free museums. 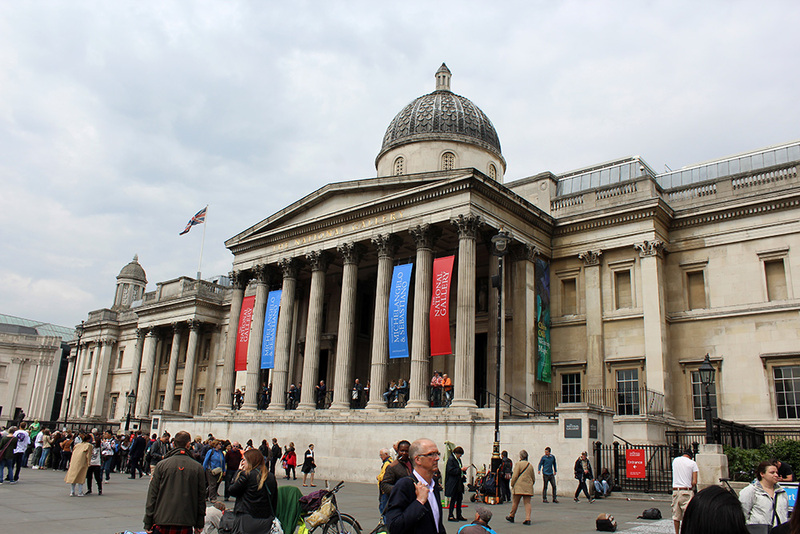 We spent several hours in the British Museum, National Gallery and the Victoria Albert Museum, but there are several others that we didn’t have the opportunity to check out. Here’s a list of the free museums in London. 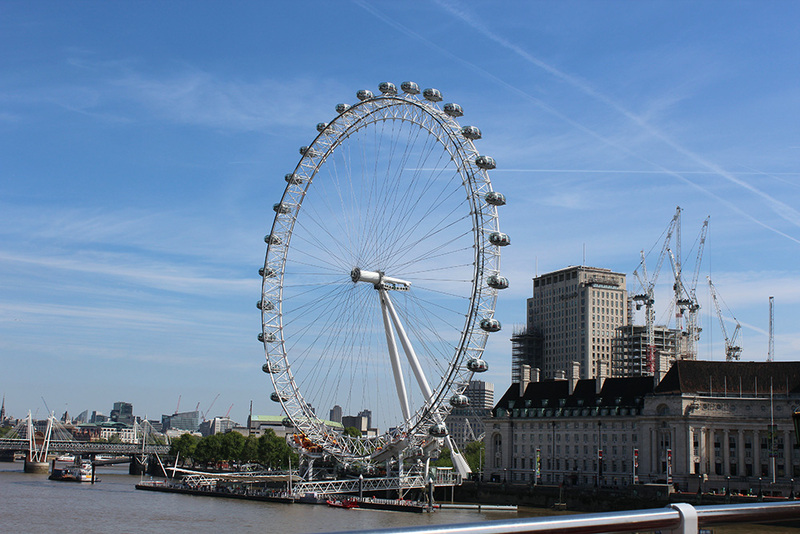 You’ve likely seen the London Eye in pictures or on TV. It’s the giant Ferris wheel that overlooks the city. Sure, you can get great views from there, but be prepared to spend a lot of money and wait a long time. The overwhelming consensus among locals and tourists alike is that it’s really not worth it. If you’re looking for views of the city, head to one of London’s many rooftop bars. This is a golden rule in London. If you want to stand on the escalator, you stand on the right. The left side is for people that want to walk by. Nothing will give you a dirty look from a local faster than disobeying the escalator rule. It’s not just fish and chips in London. The city is actually well-known for having some of the best Indian food in the world. There are tons of great places to get Indian food in the city, including one of our favorite markets, Brick Lane. 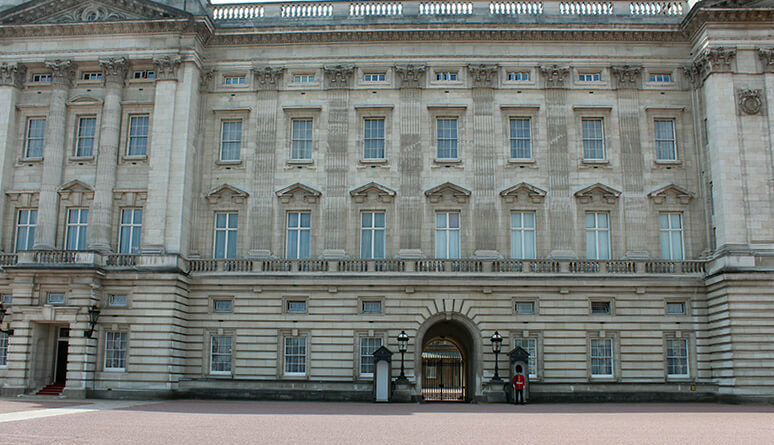 While it may seem a bit cheesy to tourists, Londoners adore the Royal Family, so don’t make any snarky comments. Also, avoid asking people if they “know the queen”. That would be like someone asking you if you knew Kim Kardashian. A bit of a ridiculous question. London is a busy place with tons of traffic and, depending on where you’re from, it might be coming in the opposite direction. It took a while for us to get used to cars driving on the left. Don’t forget what your parents taught you and look both ways before crossing the street. Yes, people are busy, but we found everyone to be very nice and helpful. If you get lost or need help figuring something out, don’t be afraid to ask someone. When we first arrived in London, we were confused about the tube, but a quick conversation with a nice man got us on the right path. He was more than happy to help and actually gave us an alternative that saved us some money. People are more than willing to lend a helping hand here. 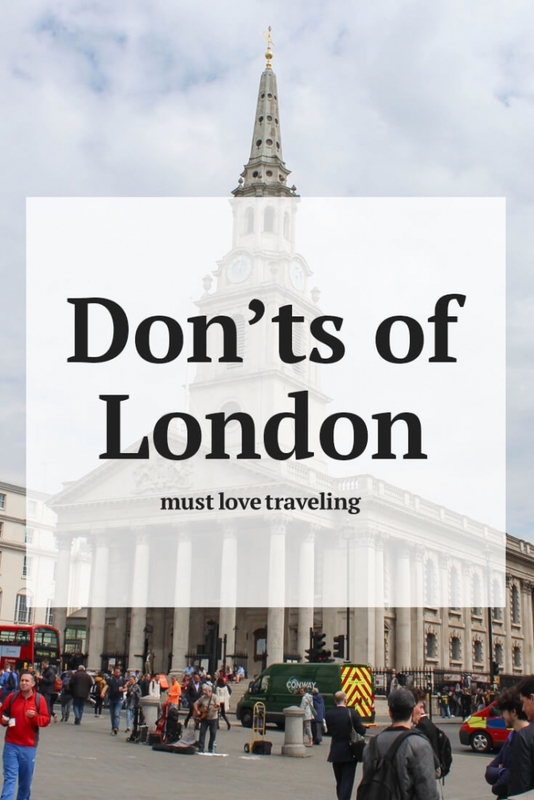 Make sure your trip to London is fantastic by following our don’ts of London list. Do you have anything to add? Let us know in the comments. I like your tips especially the one stay on the left at the escalator! Thanks for reading. Obeying the escalator rule is a big thing in London!